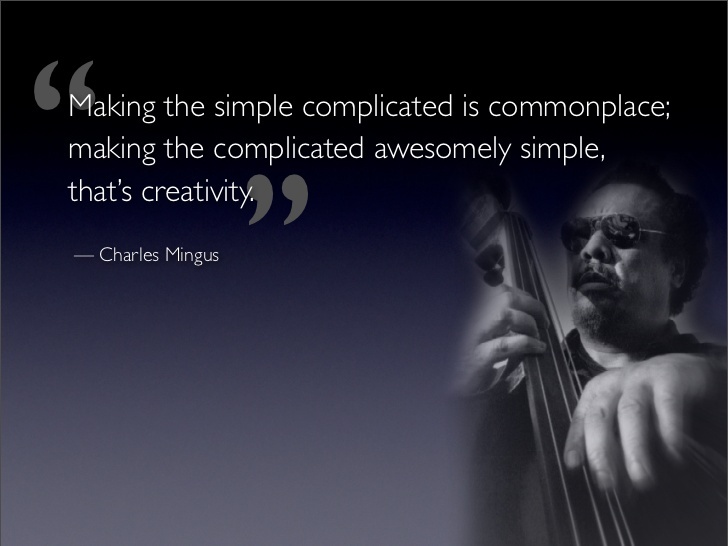 One of my favorite jazz artists, Charles Mingus once said, “Making the simple complicated is commonplace; making the complicated simple, awesomely simple, that’s creativity.” In chess, it is quite common for the more confident player to add complications to the position in order to allow him/her more opportunities to prove superior skill. 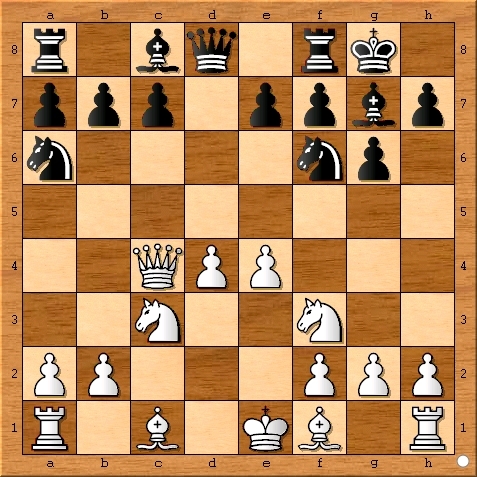 In general, this is a good strategy and oftentimes the resulting victories are praised by chess aficionados. Of course, another result is also quite possible. 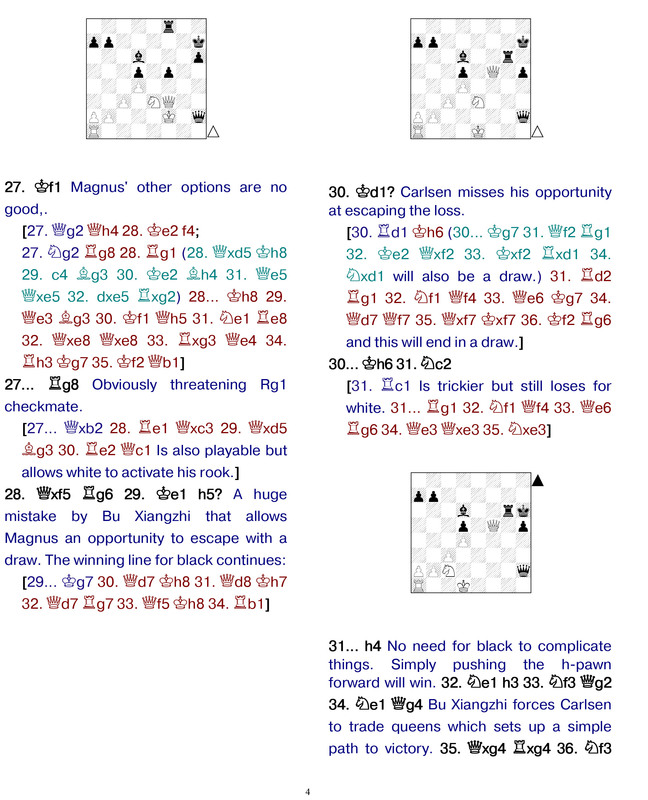 In the 2017 FIDE World Cup match between Bu Xiangzhi and World Champion Magnus Carlsen, Magnus’ over complicated style with the white pieces was dealt a devastating blow by Bu’s straight forward approach as black. 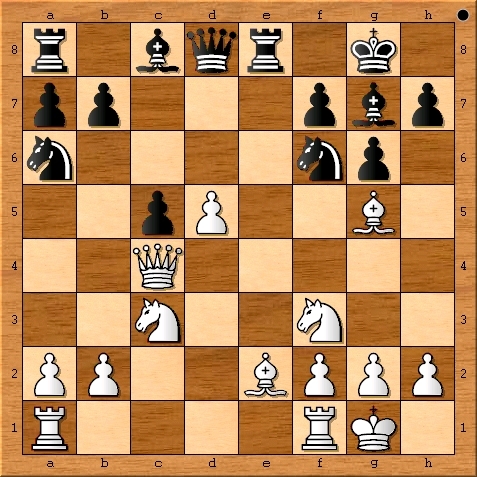 Magnus chose a slow developing line of the Giuoco Piano which included several slow pawn moves and piece redeployments. Bu Xiangzhi on the other hand played a fairly straight forward opening with only one cryptic move (9… Rab8.) 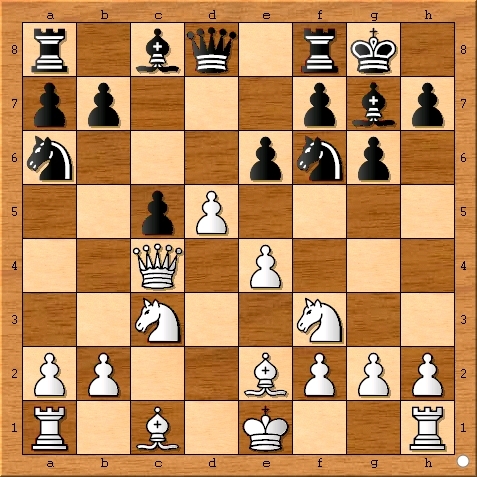 The result of the game clearly demonstrated the dangers of being too fancy as Magnus’ 11. h3 was severely punished by a common bishop sacrifice and a very creative early advancement of the h-pawn. Norwegian chess superstar Magnus Carlsen has been crowned the world champion in rapid chess once again, after a thrilling three day defence of last year’s title in Berlin…. Timing is critical whether you are playing in a poker tournament at your kitchen table or in the World Chess Championship match. Often times, chess players wait until they are too far behind to play ambitiously enough to win the game. 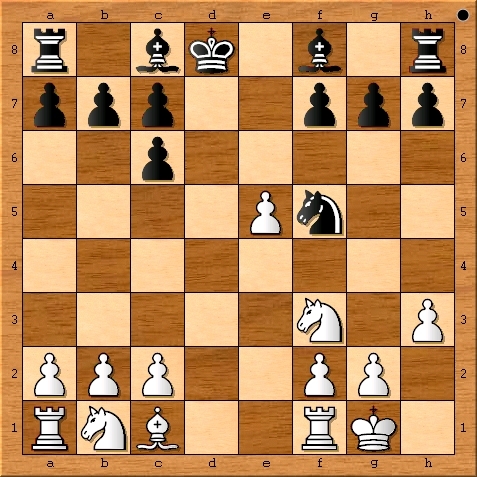 In game 11 of the 2014 FIDE World Chess Championship Match, Viswanathan Anand decided to “go for it” on move 27. Down a point with only one more game to go, Vishy took a calculated gamble on move 27 and unfortunately followed it up with an inaccuracy on move 28. 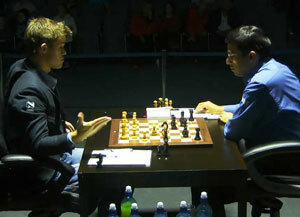 Magnus Carlsen steered through the remaining pitfalls in the position with ease and emerged victorious in the game and match. 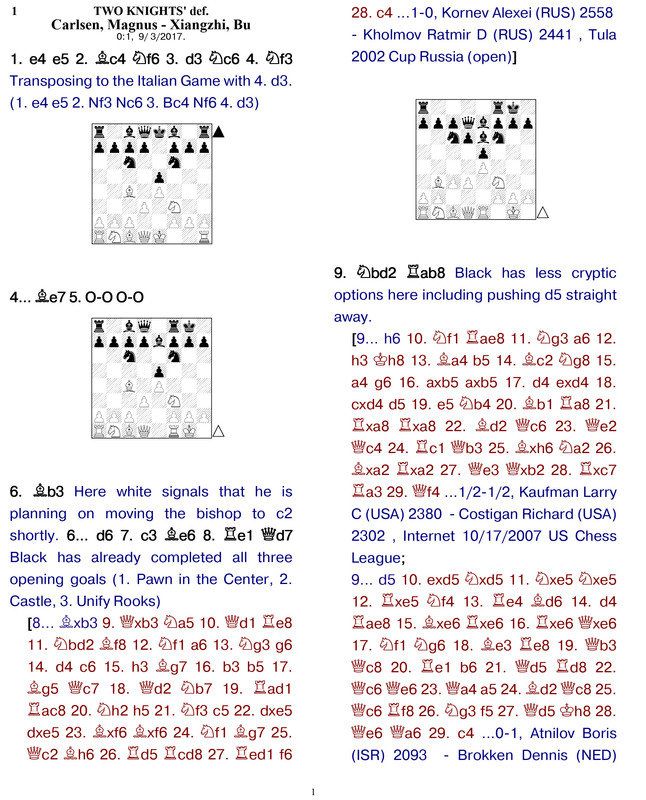 Below are my thoughts on game 11 of the 2014 FIDE World Chess Championship Match. It has been my goal during this match to break down the though processes of Magnus Carlsen and Viswanathan Anand to a level where it is accessible to the school age chess stars and weekend chess warriors. I hope you have enjoyed the effort. 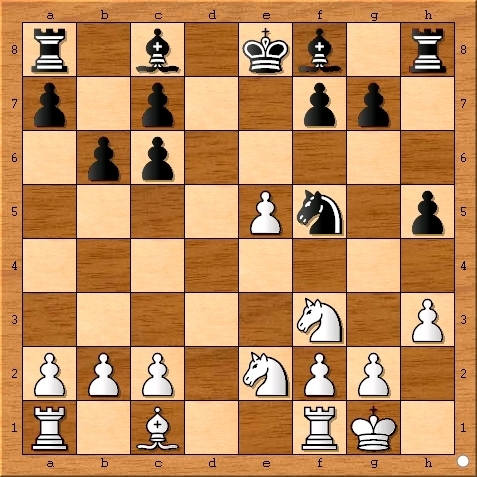 Position after Viswanathan Anand played 15… g5. 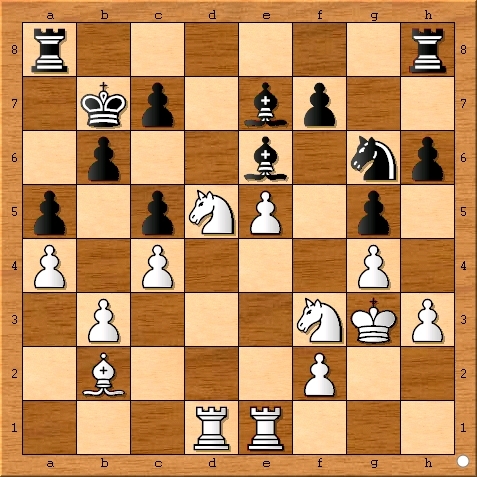 Position after Viswanathan Anand plays 20… Be7. 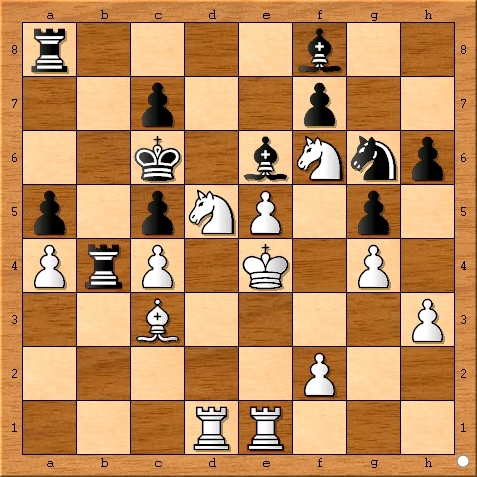 Position after Viswanathan Anand plays 23… b5. Position after Viswanathan Anand plays 27… Rb4. 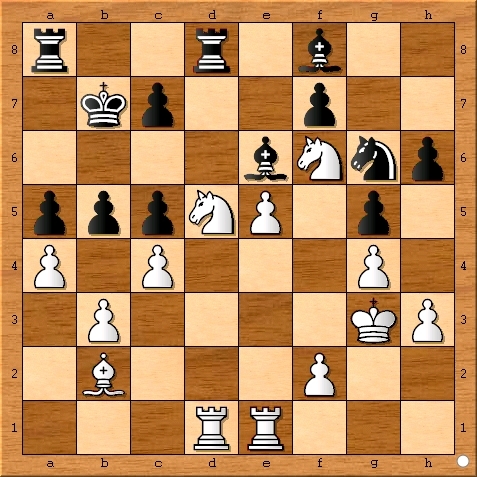 Position after Viswanathan Anand plays 28… cxb4. 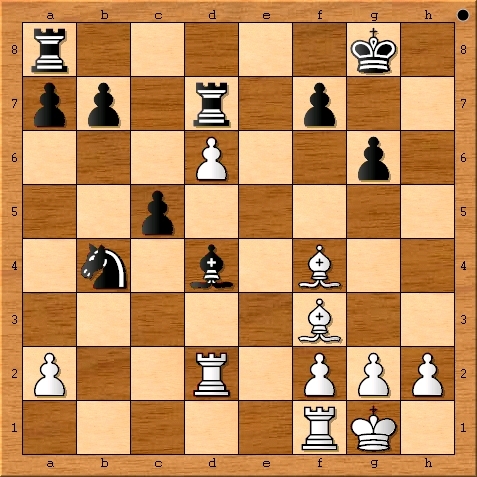 Position after Magnus Carlsen plays 34. Nd5. 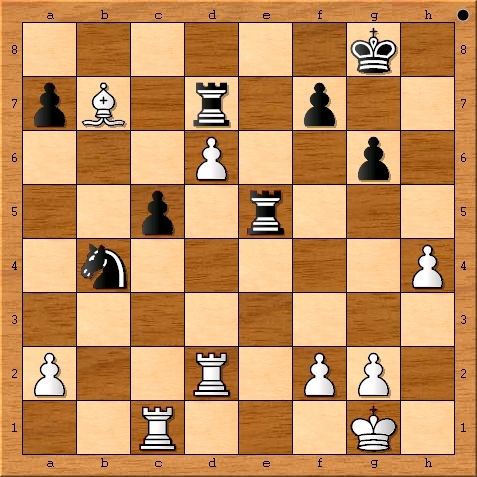 Position after Magnus Carlsen plays 36. Rxc7+. 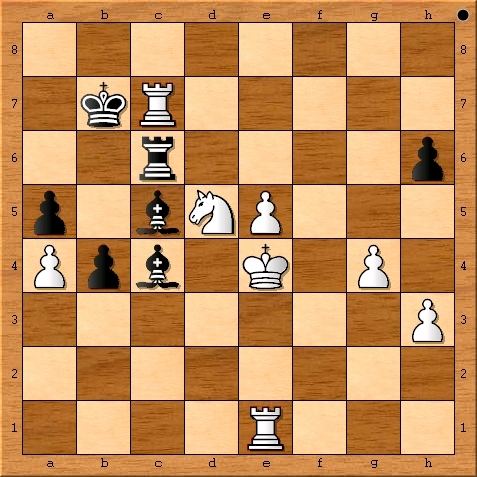 The final position from the 2014 FIDE World Chess Championship Match between Magnus Carlsen and Viswanathan Anand. 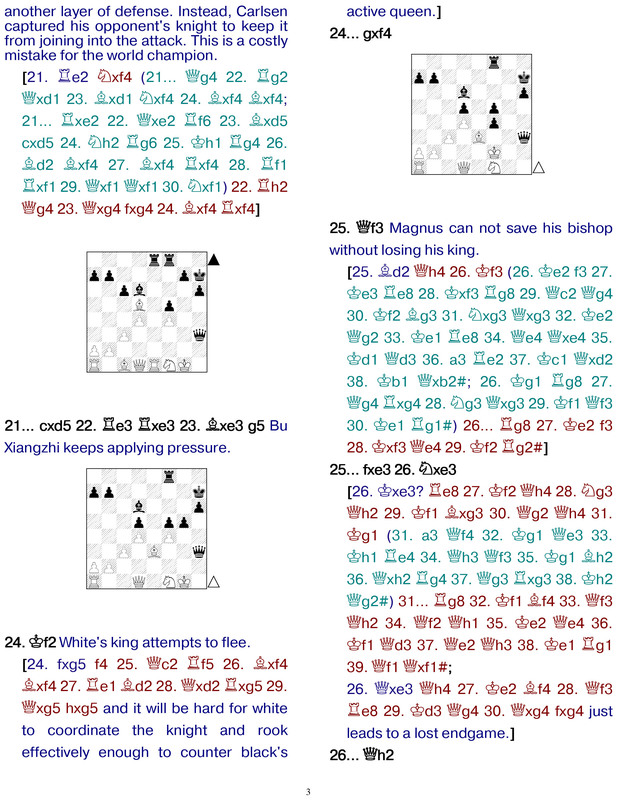 The tenth game of the 2014 FIDE World Championship Match between two of most talented chess players ever was a study in adaptation. 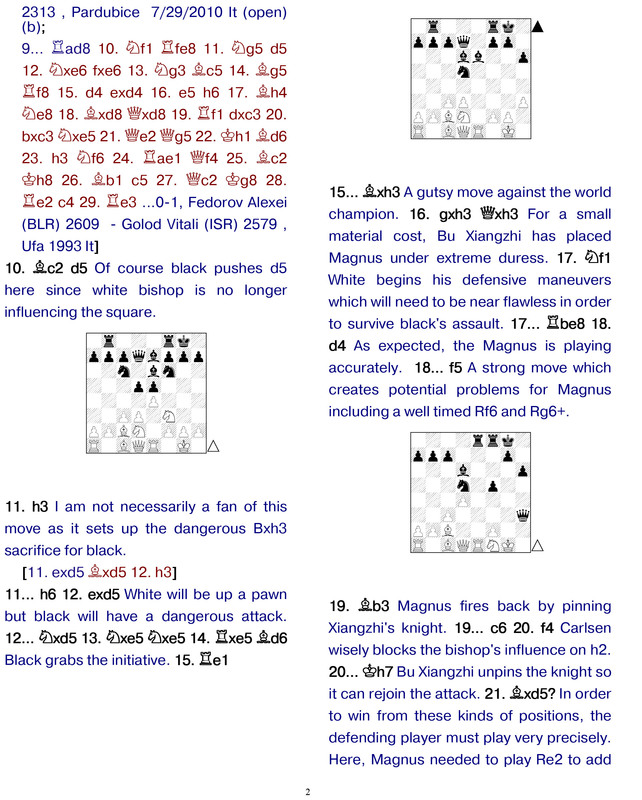 Anand opened, as I expected he would, with “1.d4″ and Magnus Carlsen chose to play the Grunfeld Defense. 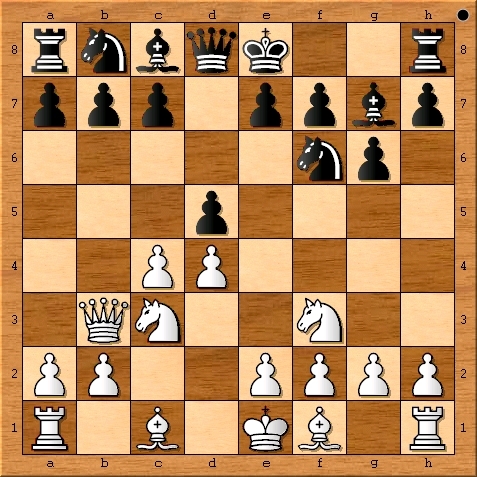 A brilliant strategist, Viswanathan Anand knew that he could not play against the Grunfeld as he did in round one, so he changed up his game plan and aggressively went after “The Mozart of Chess” with the double edged Russian Variation. 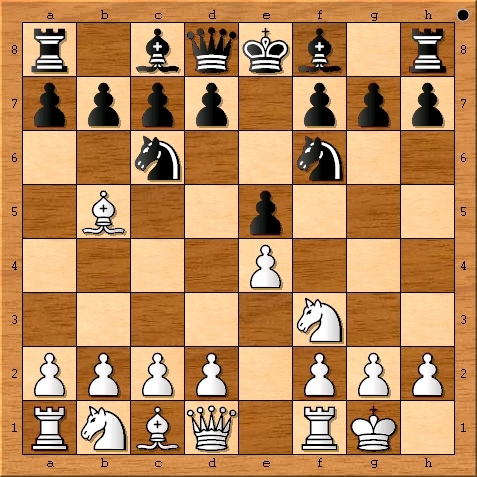 Anand’s new strategy was met with Kasparov’s old line and the fight that ensued had Garry’s influence all over it. 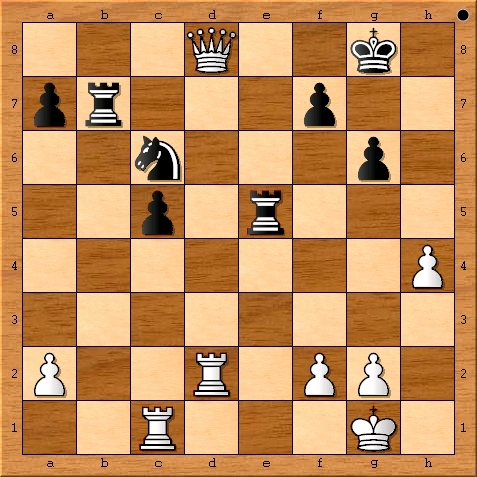 The key point in this game occurred when Magnus played an inaccuracy on move sixteen. After Carlsen’s mistake, Anand was able to masterfully apply pressure to the young Norwegian right up until he let Magnus off the hook with his own inaccuracy on move twenty-four. After Vishy’s unfortunate mistake, all of his hard fought gains evaporated and the players quickly traded down to a draw. 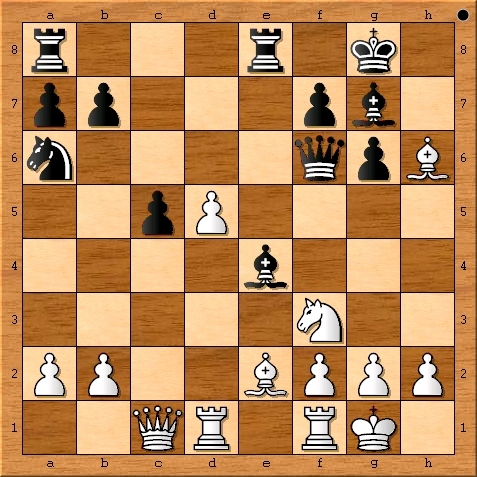 Please enjoy my analysis of Game 10 from the 2014 FIDE World Chess Championship Match between Magnus Carlsen and Viswanathan Anand. Position after Viswanathan Anand plays 5. Qb3. 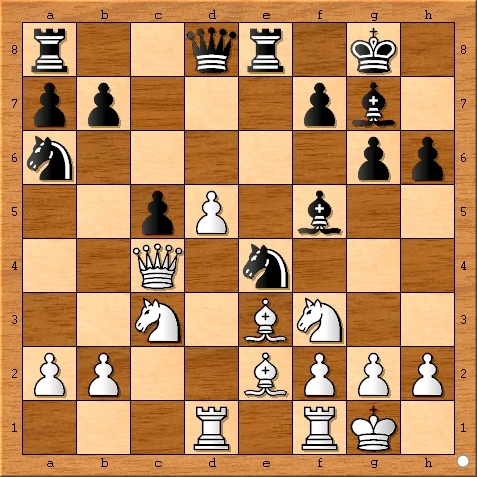 Position after Magnus Carlsen plays 7… Na6. 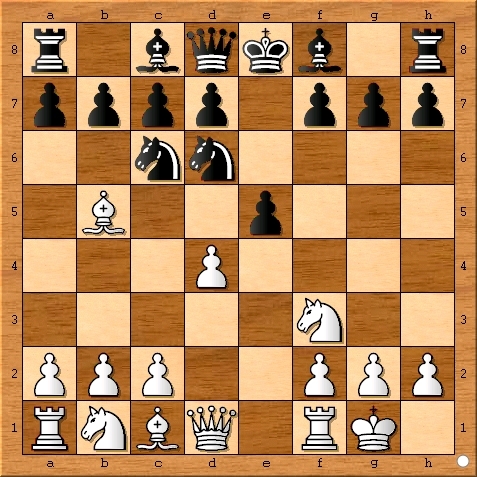 Position after Magnus Carlsen plays 9… e6. Position after Viswanathan Anand plays 12. Bg5. 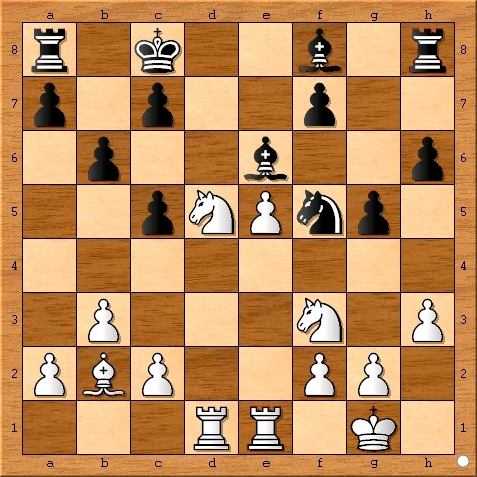 Position after Magnus Carlsen plays 14… Ne4. The position after Viswanathan Anand plays 17. Bxh6. The position after Viswanathan Anand plays 20. Nxe4. 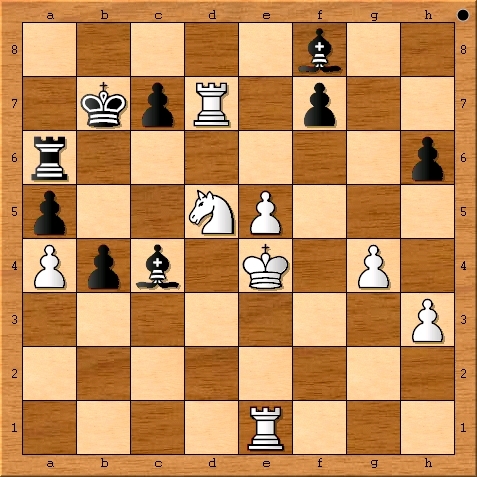 The position after Viswanathan Anand played 24. Rd2. The position after Viswanathan Anand plays 28. Bxb7. and the official site for the 2014 FIDE World Championship Match in Sochi, Russia. Game 9 of the 2014 FIDE World Chess Championship was completed before most of my chess pals in the U.S. had even woken up. After a mere 20 moves, Anand and Carlsen played to a draw by threefold repetition(the same position occurring three times in a game.) 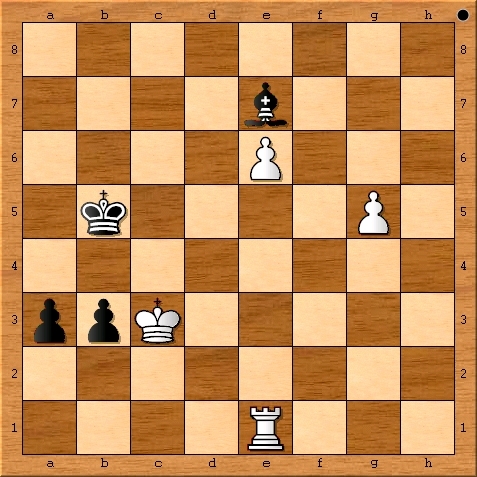 For Anand, an easy draw with the black pieces must have been a nice surprise. 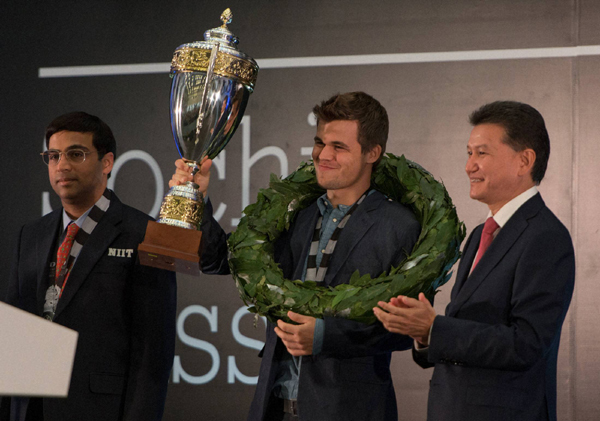 For Carlsen, the quick draw put him one step closer to retaining his title of World Chess Champion. For the chess fans, many on twitter voiced their annoyance that Carlsen didn’t press harder against Anand. The irony is, that many of these same chess fans were the ones criticizing Magnus for “playing on” too long in game 7. Magnus Carlsen and Viswanathan Anand at the finish of Game 9 from the 2014 FIDE World Chess Championship Match. 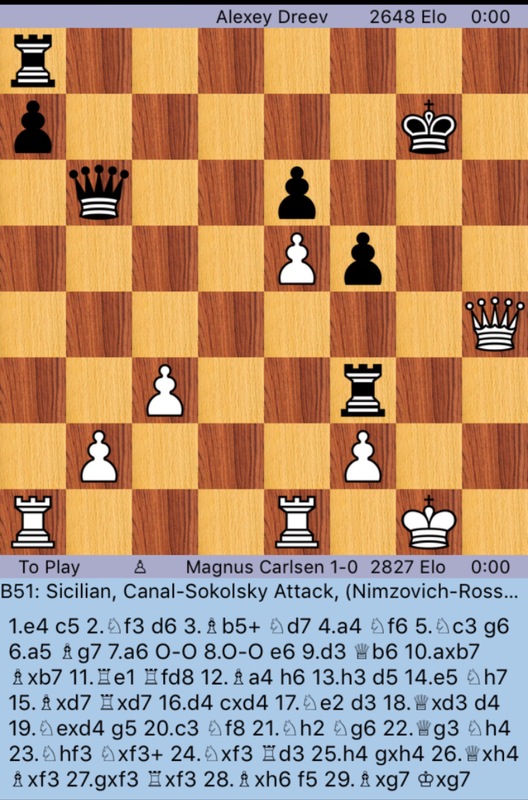 The position after Magnus Carlsen castles on move 4. 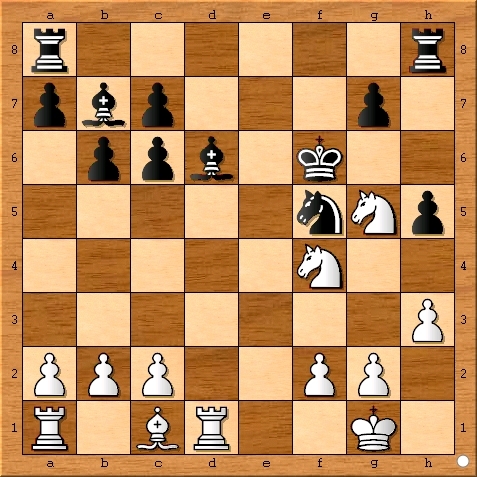 The position after Viswanathan Anand plays 5… Nd6. The position after Magnus Carlsen plays 9. h3. The position after Viswanathan Anand plays 11… b6. 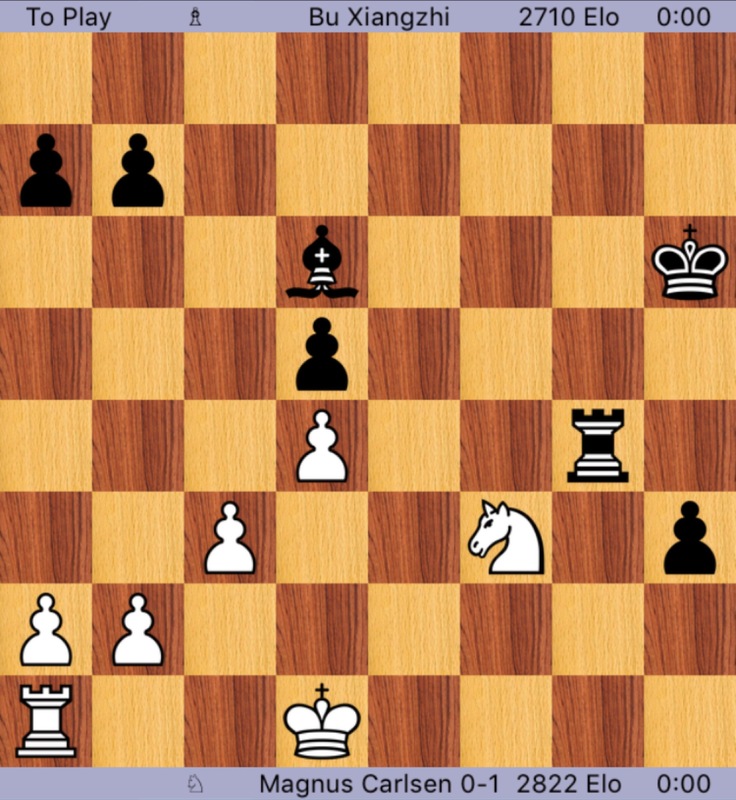 The position after Magnus Carlsen plays 14. e6. The position after Magnus Carlsen plays 16… Kf6. 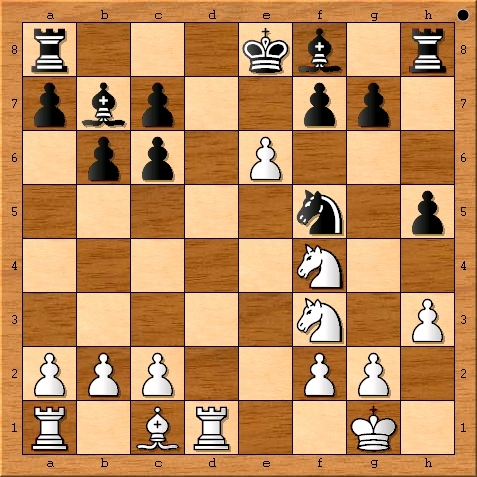 The final position of Game 9 from the 2014 Fide World Chess Championship Match between Magnus Carlsen and Viswanathan Anand. 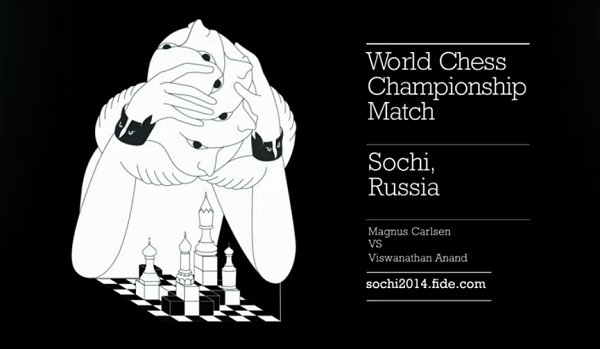 and the official site of the 2014 FIDE World Chess Championship Match in Sochi, Russia.